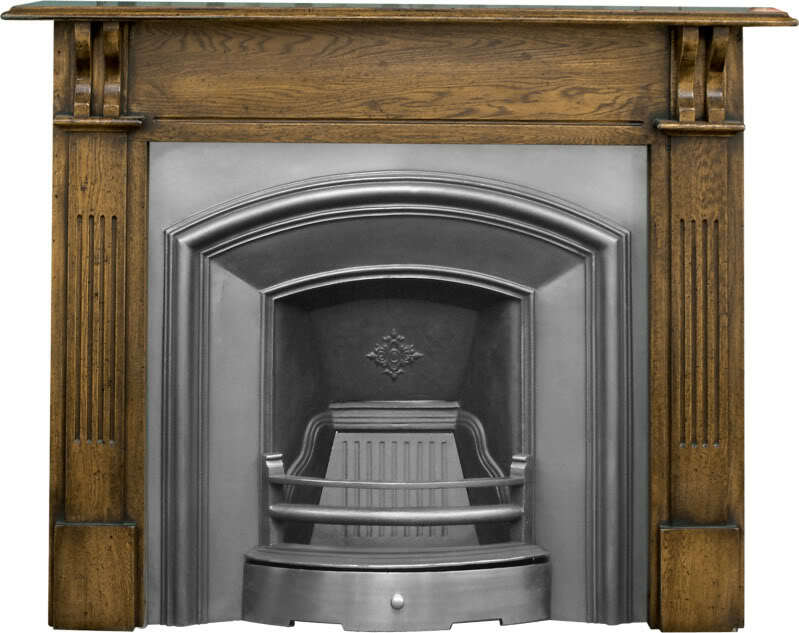 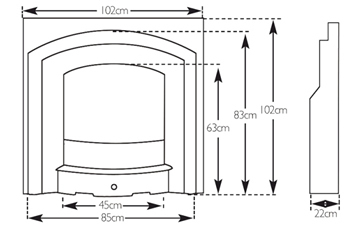 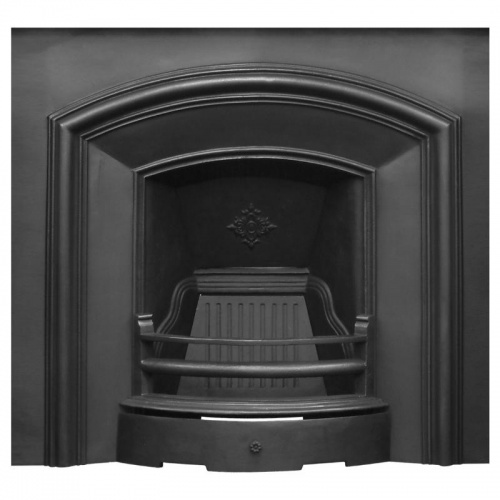 The London Plate Victorian style Cast Iron Fireplace Insert. It has an arch top insert with ribbed opening. 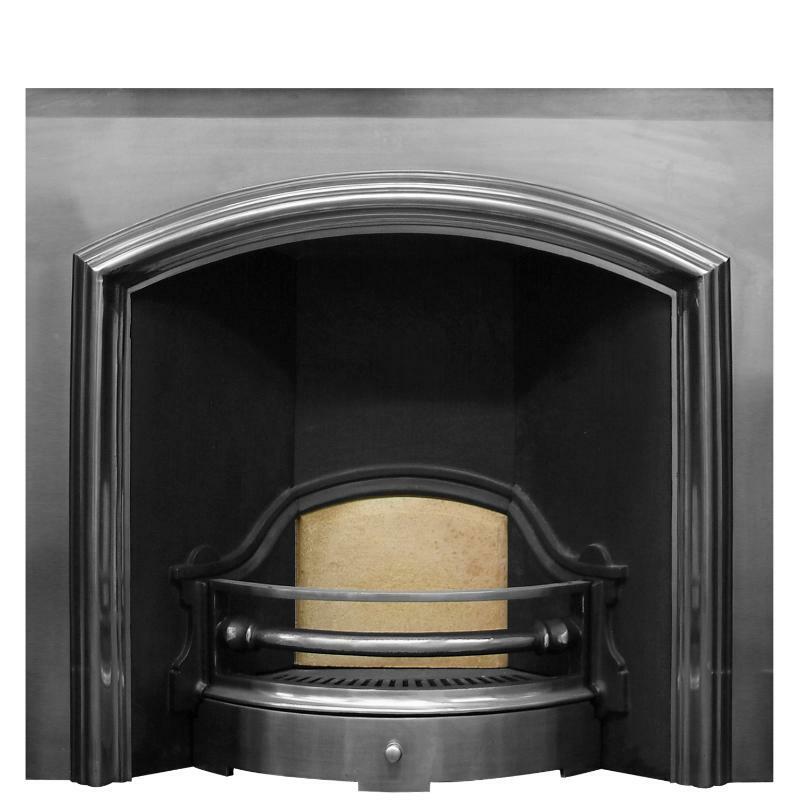 Available in black, highlight polish and full polish.